LONDON, May 07, 2009 (Dow Jones Commodities News via Comtex) — Construction of a processing plant to treat uranium at Zambia’s Lumwana copper mine would take between 18 months and two years once the decision to go ahead was made, according to its owner Equinox Minerals Ltd. (EQN.T). The decision will depend on Equinox being successful in negotiating viable uranium off-take agreements and securing the requisite project capital financing, the Toronto-listed miner said. It will also depend on a number of other factors, which will be subject to board approval, such as securing project financing and uranium market prices. 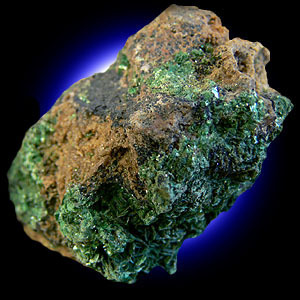 A feasibility study at Lumwana has confirmed the site’s viability to treat the high grade uranium mineralization contained within the copper pitshells. In October, the Lumwana managing director told Dow Jones Newswires Equinox would spend $200 million to exploit the uranium deposit at the site. This would be the first uranium mine in Zambia, which approved mining of the ore after getting clearance from the U.N. nuclear watchdog the International Energy Atomic Agency. thanks great news I hope the zed gov can use it 2 grow the economy. Hope it benefits the country. That’s the main point. I worked on the Lumwana project for 2 great years. Great experience. I hold that project close to my heart.